South African residents receive a 15% discount upon producing their green bar ID book. We accept cash or EFT payments. A 50% deposit is required to secure booking. 7 days prior to arrival: Forfeit 100% of deposit. 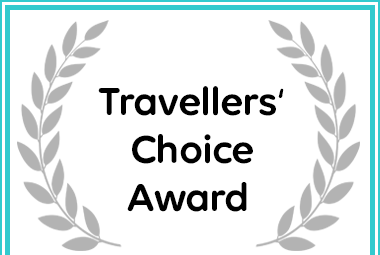 HaesFarm received a Travellers' Choice Award due to exceptional customer reviews for Stanford Accommodation.